This is my second article about Hong Kong Summer Spectacular. In this article, I choose a topic about Hong Kong fashion in summer; I hope this topic is interesting for us. I see that Hong Kong fashion products are famous for us. We have image that the product quality is good and keep abreast of fashion. In Hong Kong, fashion industry generates foreign exchange and I was amazed that fashion industry is the second largest contributor after electronic industry. 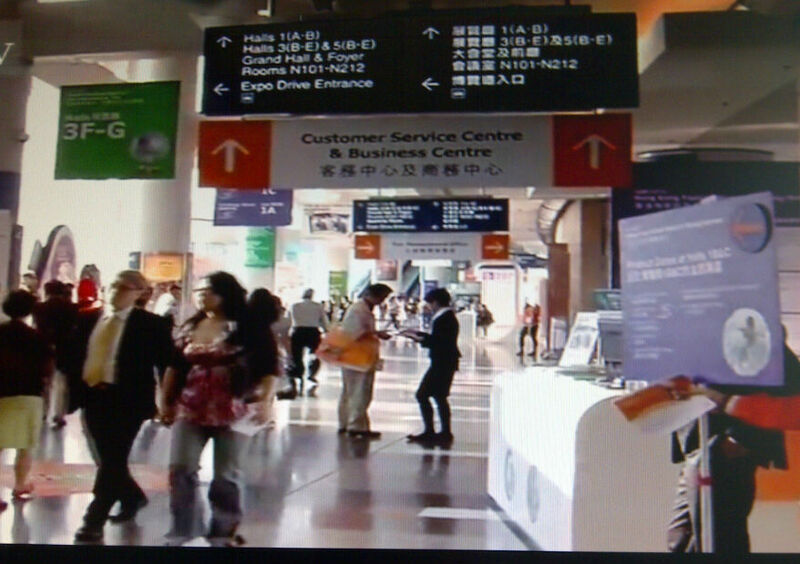 Hong Kong fashion industry also was recorded as third main exporter in the world. Hong Kong since 1966, held Hong Kong Fashion Week to support the growing of fashion industry. In summer, Hong Kong Fashion Week for Spring/Summer also enlivens. 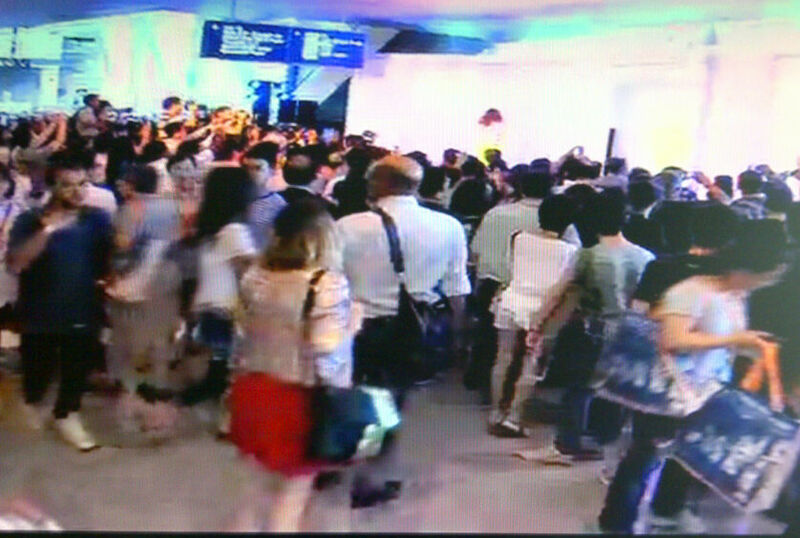 This Fashion Week was held on Jul 3, 2012 - Jul 6, 2012 at the HKCEC (Hong Kong Convention and Exhibition Center). This event followed by 1295 exhibitor from many countries and visited by 23272 visitors. Products displayed in this event were ladies' wear, men's wear, babies and children's wear, sportswear, lingerie, evening wear, swim wear, handbags, shoes, costume jewelry, eye wear, fabrics and buttons. As Hong Kong is one of the world’s fashion capitals, many local and overseas fashion brands choose Hong Kong Fashion Week to launch their new products and consolidate their brand image in Asia. I have one comment about Hong Kong fashion market. Many international labels can be found in Hong Kong, but Hong Kong product more many and widely export to other country and also easy to find in its country. It's nice! Hong Kong also supports creativity of their local designer. 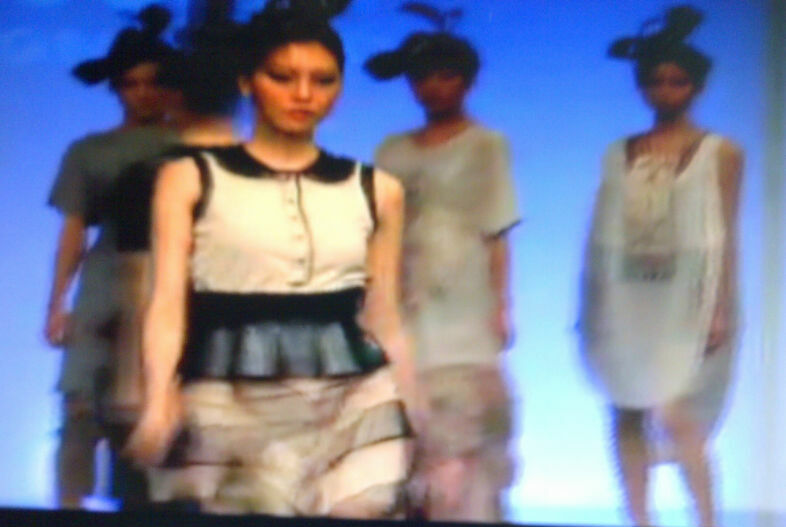 In this event, there was “Hong Kong Fashion Designers Contest” which showcases Hong Kong’s young generation of designers. 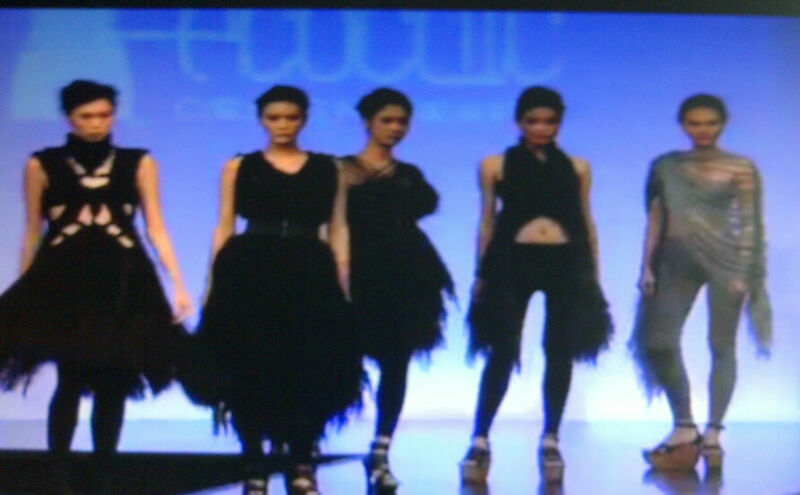 Then, let's see fashion model which is popular in this event (fashion trend). As I saw the fashion show video of Hong Kong Fashion Week and also other fashion shows of world top designers, the color which dominant are white and black. And there is one new color in some show, mint green. The costume siluette looks simple. The main theme is somewhat tailored, and classic, but with a touch of bold, and edgy. Let's we back talking about Hong Kong fashion. Many Hong Kong brand already famous for us, here is some of the brand Baleno (Hong Kong), Bossini, Esprit, G2000, G cont, Giordano (store), IT, Ipa-Nima, Izzue, Joyce Boutique, Henry Lau, Shanghai Tang, U-Right, U2 Clothing. Beside these brands, there many local whole seller brand export to other country. Many Hong Kong fashion labels can be bought in our country without we must go to Hong Kong. But it will be more interesting if we can visit at Hong Kong and buy some dress or other fashion product. Then, the question is "where we can hunt fashion in Hong Kong?" If we visit Hong Kong while Fashion Week is held, we can go to HKCEC to see it (I hope one day I can see directly, not via video.....). We can go to HKCEC by MTR and bus. Currently, the closest MTR is Wan Chai Station (exit C) on the Island Line. The proposed North Island Line, an extension of the MTR's Tung Chung Line, will have a station at HKCEC. We also can use bus number 960, 961, 40, 40M, 8 & 2A. Causeway Bay (Paterson Street, Great George Street, Kingston Street, Sharp Street, Percival Street) - Many shops on these streets, particularly Causeway Place, Fashion Walk, Island Beverly and Laforet. Tsim Sha Tsui (Granville Road) - Find designer brand samples or cast-offs at a fraction of their retail prices. Right nearby is Granville Circuit, where you'll find many shops selling their own designs or collectibles, along with accessories and vintage item. If we like street market, we can go to Ladies Market. Ladies' Market is a must-visit destination for fashion lovers with an eye for bargain-priced clothing, bags, accessories, toys, cosmetics and household knickknacks. It is located in Tung Choi Street, Mong Kok. It is open from noon until 10:30pm. To go there, we can take MTR and stop at either Prince Edward or take exit B2 or Mong Kok and take any of exits B2, D2 or D3. In this summer, there is Visa Shopping Indulgence Lucky Draw, period 22 June - 31 August (Applicable to all Visa cardholders). Every time you spend HK$300 with your Visa card in Hong Kong during Summer Spectacular you are qualified to enter the lucky draw to win a grand prize of HK$200,000 worth of Visa spending credits. Ten shoppers will also take away HK$10,000 Visa spending credits each. And there will be Olympic souvenirs for 40 runners-up. Visitors and locals can register to enter at www.visa.com.hk. This is the end of this article and I close with my opinion about following fashion trend. "Follow fashion trend is not necessarily expensive. Smart buying and good at combining clothes will keep us in the follow-saving mode. Let's style with Fashion!" This article is written to join HKSummerSpectacular Blogger Writing Contest.